Your first step to a beautiful landscape is contacting Earthly Possibilities. We will schedule an appointment to meet with you and evaluate your property (if married, both spouses are required to be at our first appointment). We recommend you establish a budget for the project prior to our meeting and express this openly with our designer. Our landscape designer will meet with you at the proposed site. Pictures and measurements will be taken, as will additional information helpful to the design process. We will schedule a second meeting (usually 5-10 days later) for the design reveal. 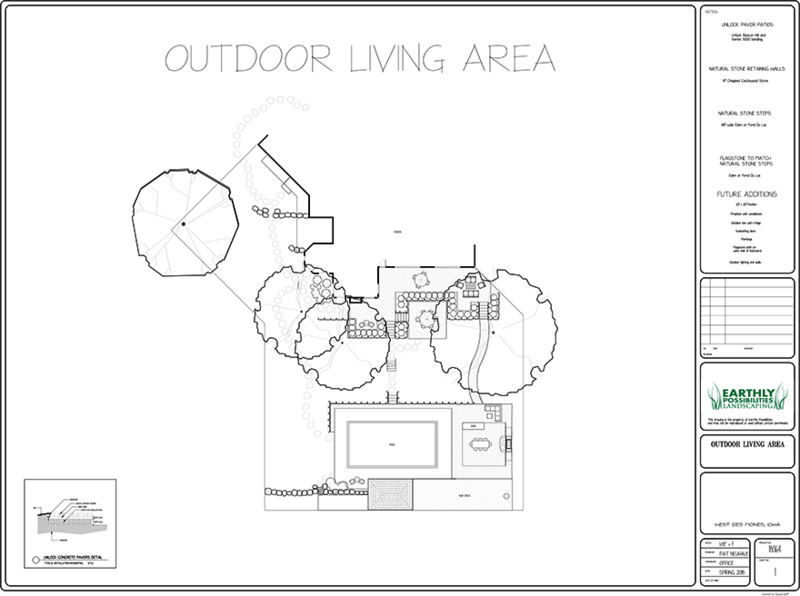 During the second meeting, the landscape designer will present the landscape plan and proposal to the client. Any necessary changes or additions can be made at this time. Upon accepting the proposal, contract signing and giving a deposit, a copy of the design will then be given to the client and an approximate time for the installation phase to begin will be scheduled. 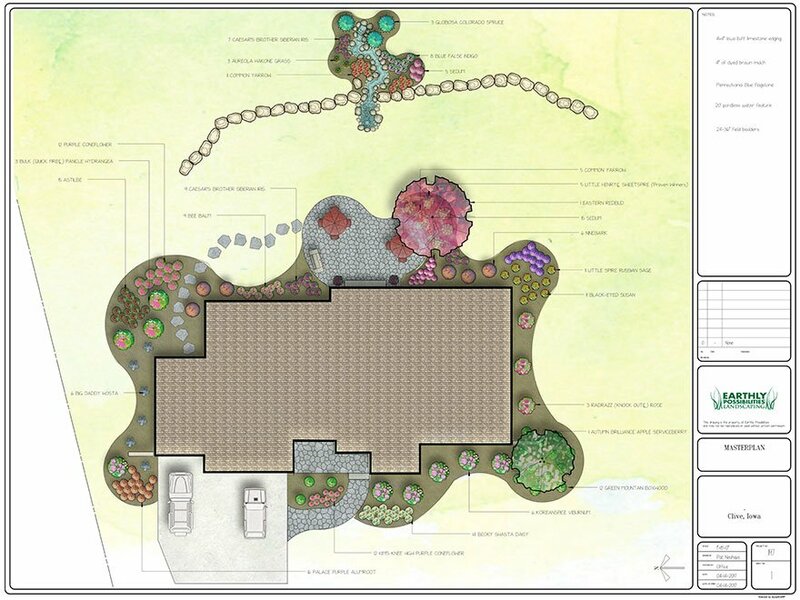 Earthly Possibilities takes care of all of the ordinances and regulations needed for implementation of the proposed landscaping. We will contact all utility companies to ensure our safety as well as our client’s. Next, the installation of the landscaping begins. The job site is left neat and clean at the end of each workday, until the project is completed. Design fees, if applicable, range from $300-$3,500 depending upon the project size. This fee is refunded to the client if our company is hired to completely install the landscape.